1. Cider with Rosie - Rosie's lifestyle blog is a great read and the photos are awesome. She covers food too which I don't really read many posts on but Rosie's always seem to draw me in! 2. Paris in Four Months - This blog is like my own secret escape... All Carin's photography is amazing and she manages to capture the Paris that I love. I have never been able to explain why I am so drawn to Paris - now I don't have to, go take a look at her blog! 3. From Roses - Rebecca's blog covers beauty, lifestyle and interiors. She is also a co-founder and editor of A Little Opulent which you should also definitely visit if you haven't done so already. 4. 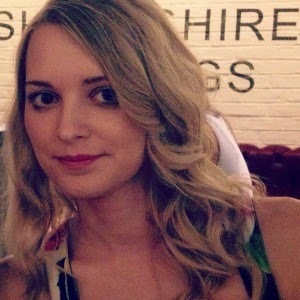 JennyPurr - Jenny gives great advice on blogging and freelance as well as covering lifestyle. She is also a co-founder and editor of A Little Opulent. 5. Little Fickle - Sammy's blog covers clothes, shiny things which catch her eye and stuff that makes her angry. I love that she voices her opinions with such fearless clarity. This was seriously hard! I have so many more amazing blogs that I read to share with you... and I will.